Save batteries for when you’re on the go or the next power outage with the Beam n Read Accessory USB Power Kit. 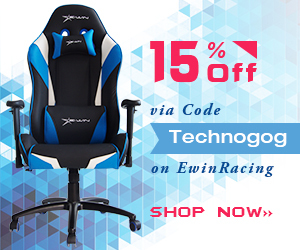 It works with all Beam n Read LED Hands-Free lights (3 and 6 LED lights). 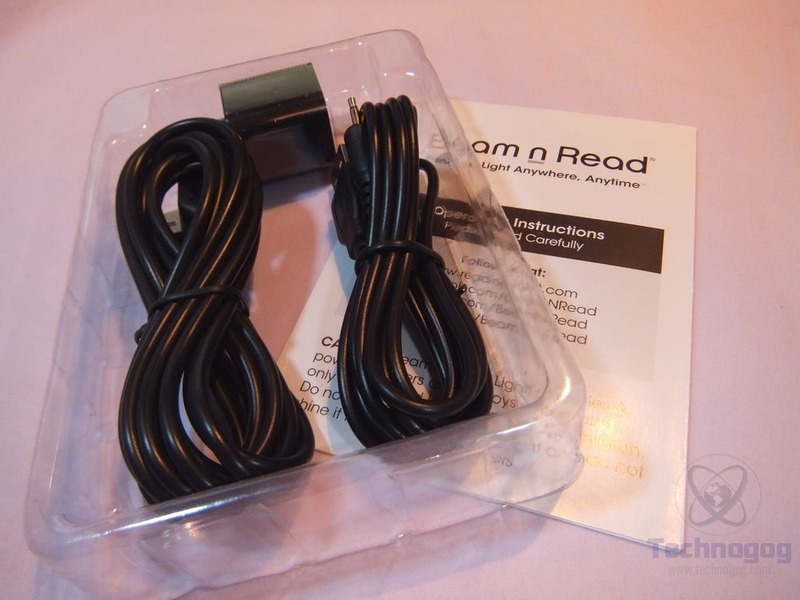 In addition to the Kit’s 6 foot BnR to USB cable, an additional 6 foot USB extension cable is included letting you work up to 12 feet from a USB socket. Need a longer cable? 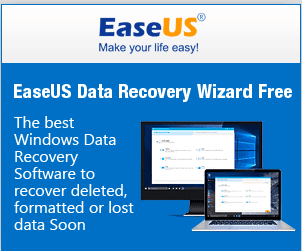 – just add a standard USB extension cable. 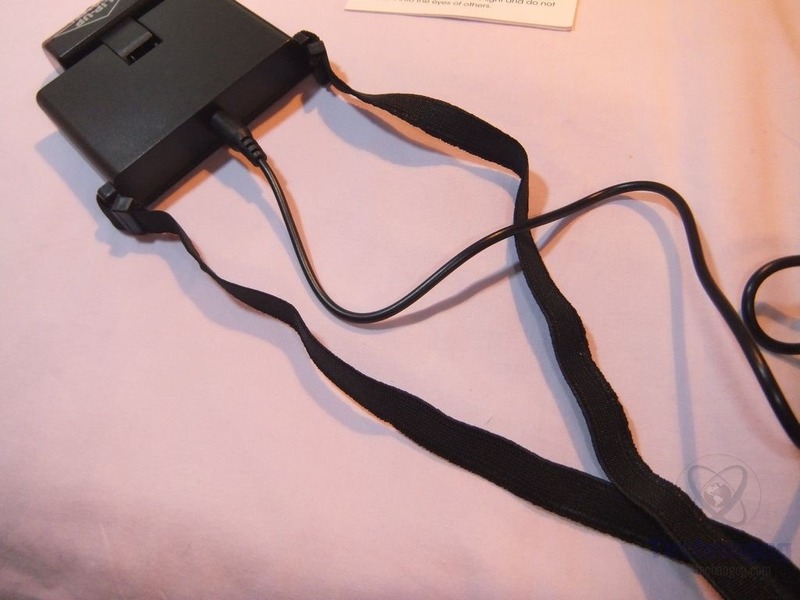 Use the included USB/AC adapter or a USB DC car adapter/charger, or a computer’s USB port, or the USB adapter/charger for your cell phone, e-reader, etc. Some airplane seats now have USB ports for plugging in! You may leave batteries in the Beam n Read or take them out to make a super lightweight light. Please note this kit is to access external power and will not recharge batteries. 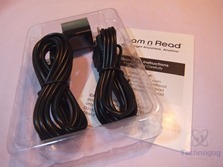 This kit is not for use with Beam n Read Classic (filament bulb) lights. 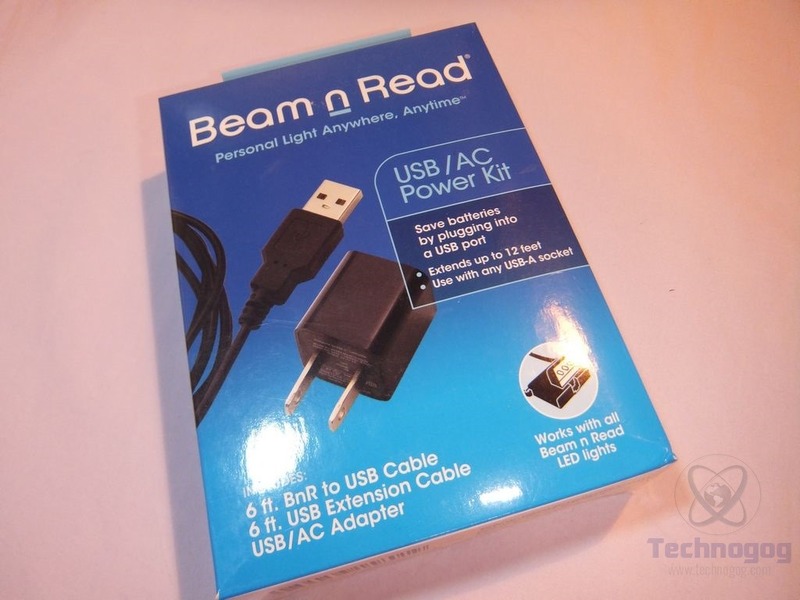 The packaging for the Beam N Read USB/Kit is nice looking. Inside you’ll find two USB cables and a USB AC power adapter along with a user manual. 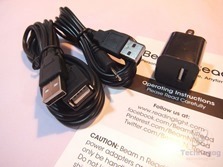 One USB cable is an extension cable with male and female USB ends and it’s six feet long. The second USB cable is the charging cable it has a USB connection on one end and what looks like an audio connector on the other, that’s for charging the Beam N Read device. The charging cable is also six feet long so when you combine them you can have 12 feet in total. The power adapter is easy to use as it just plugs into the Beam N Read and you’re ready to go and best of all you don’t even have to take out the batteries. 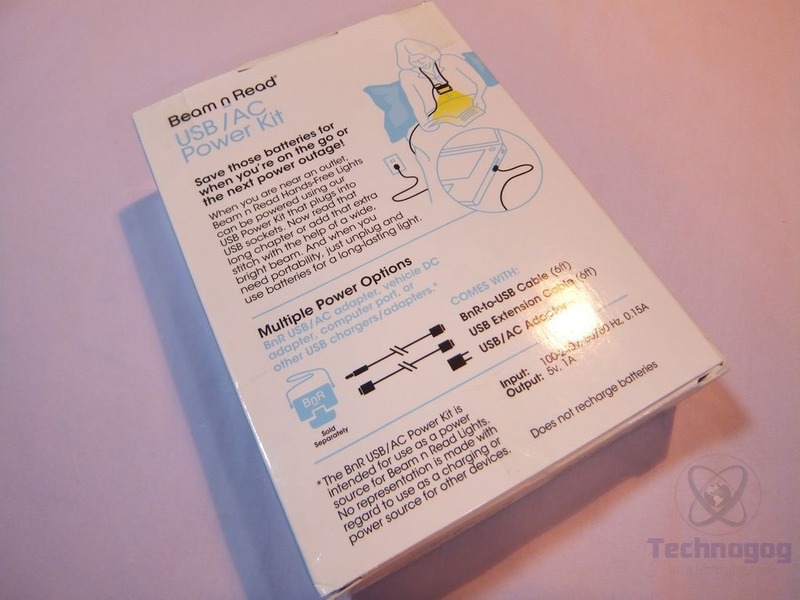 The Beam N Read UBS/AC Kit is fine for what it is, it does what it’s supposed to. I just don’t like the fact that the connection is proprietary for power, they could have used a standard connection like micro USB or mini USB.